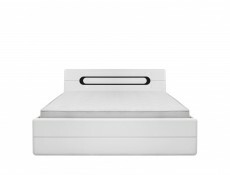 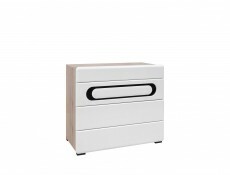 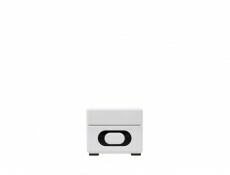 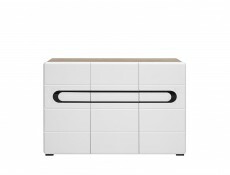 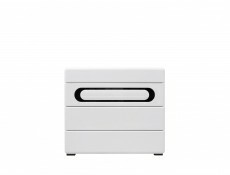 - This compact yet very functional bedside table Byron is perfect for any interior. 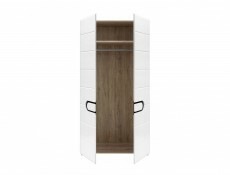 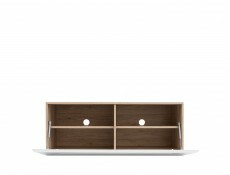 Thanks to the compact design, this piece will not take much space yet will still serve as a convenient storage solution. 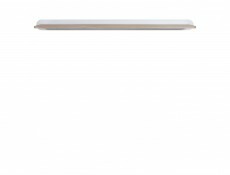 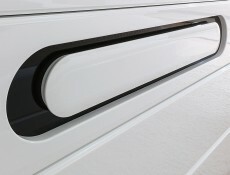 - The fronts have been designed in a way combining modernity with and easy use. 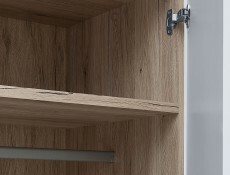 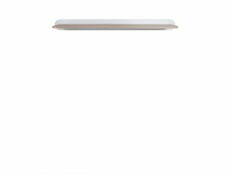 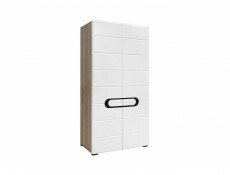 Their subtle profiles extend beyond the body of the stand, enabling easy operation and access to the contents of the drawers. 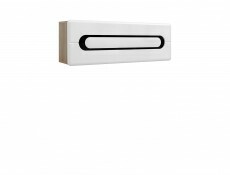 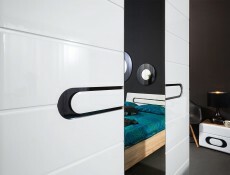 - The handle in a modern elliptic shape is eye-catching element. 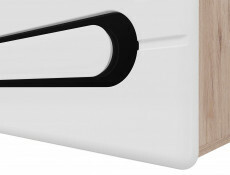 Black tempered glass looks smart, especially highlighted by the glossy white of the fronts. 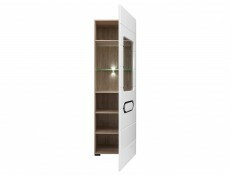 - It is equipped with 2 convenient drawers suitable for your knick-knacks. 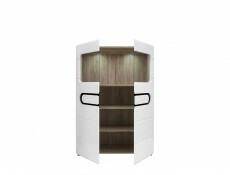 The top drawer is quite shallow where as the bottom drawer is much more spacious and can be used to store for example your favorite books or newspapers. 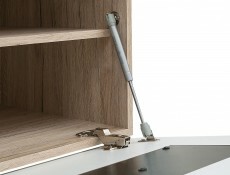 - The drawers are mounted on the slides fitted with soft closing system. 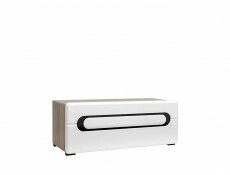 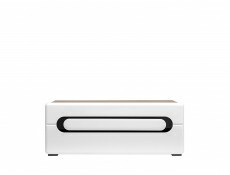 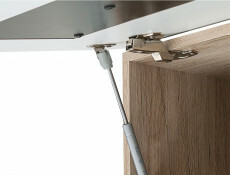 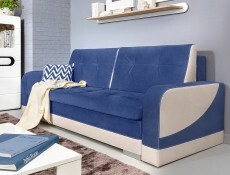 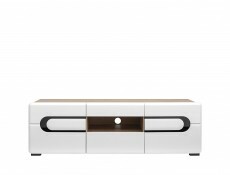 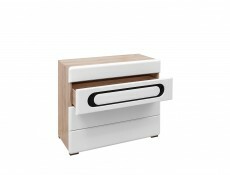 The mechanism ensures the highest comfort of furniture use; the most gentle push is enough to quietly close the drawer. 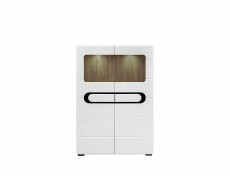 - Searching for the perfect bedroom furniture? 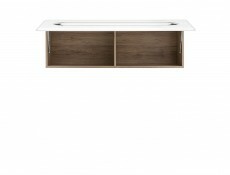 have a look at the other elements the Byron collection. 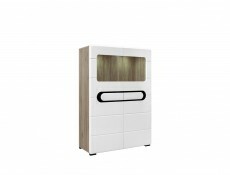 This unique system has to offer everything you'll need to create your unique interior: spacious wardrobes, bed, spacious chest of drawers and practical bedside tables. 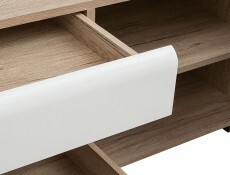 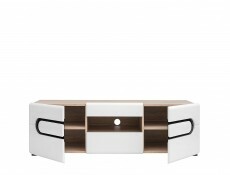 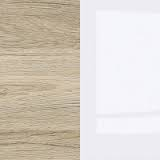 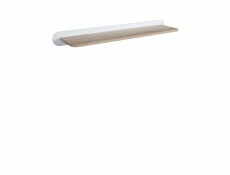 Universal combination of wood colour with a glossy white looks modern and adds unique feel to any interior. 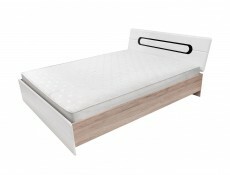 - Comfort in the bedroom is essential. 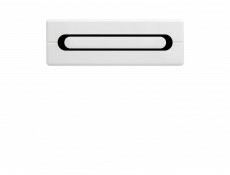 Make sure you can truly enjoy it at every turn. 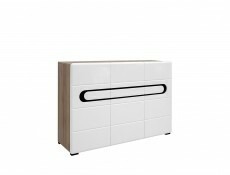 Have a look at this chest of drawers which will give you enough storage space for everything you need to put away. 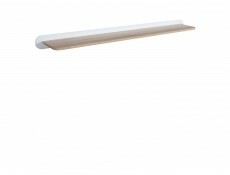 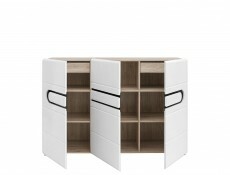 - The handle in a modern elliptic shape is eye-catching element. 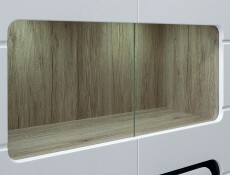 Black tempered glass looks smart, especially highlighted by the glossy white of the piece. 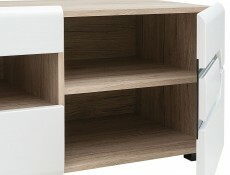 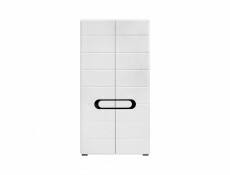 - It is equipped with 4 convenient drawers. 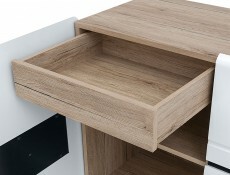 The top drawer is quite shallow and provides the perfect storage for all the small items. 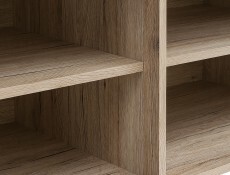 The further three are much more spacious; you can anything that needs to be hidden and ensure the order is preserved.